Love our kitchens. We offer a variety of different styles to help you visualise your perfect kitchen. Sometimes less really can say more. These modern and sophisticated designs are elegant through their simplicity, whilst giving you a blank canvas to express your own personality. 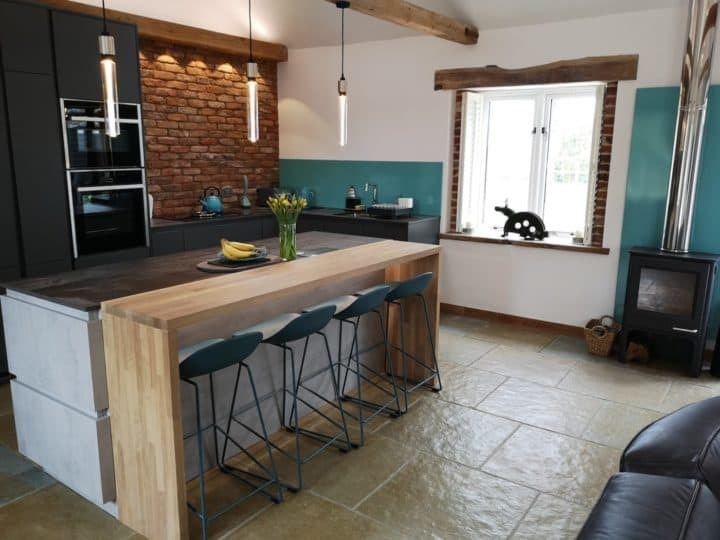 This style of kitchen is well suited to a range of properties, from modern urban apartments to the reinvigoration of larger period properties, providing durability as well as smart design with hidden table top features and fluid surfaces. What makes something a classic? At KSL, its all about timeless simplicity. Our elegant, classic kitchens are designed to stand the test of time with both functionality and style in mind. With a fairly neutral palette, there is always scope to offer your own sparkle of personality to the design. Our traditional style of kitchens express a sense of heritage, creating an inviting and relaxed atmosphere at the core of the home. These designs encompass a wide range of high quality materials and styles which allow you to be flexible with your own unique design. While conveying a more traditional image, our designs still incorporate all the modern gadgets intended to reduce the stress of everyday life, helping you to relax and unwind. With over 110 years of experience, Beckermann are one of Germany’s leading kitchen manufacturers providing both standard and bespoke designs. Beckermann is a well-respected and innovative provider, renowned for its design flexibility. This enables us to create schemes that meet your budget, but also that suit how you use your kitchen. Stoneham Kitchens is an established family company, just like us. Four generations on, the team still believe in making beautiful bespoke kitchens which create the right ambience for you and your home. We choose to work with Stoneham Kitchens as they share our commitment to quality craftsmanship. Every one of their kitchens is hand built to order, using only the finest materials. The team at Mereway are well known for their robust and stylish complete kitchens. Mereway feature a broad range of designs, from popular classic styles to sleek contemporary looks. The ‘Cucina Colore’ is Mereway’s Italian-inspired solution which gives a huge amount of flexibility when it comes to choosing colours and finishes. With Mereway, you’ll find something for every scheme and budget.